Kyle McDonald from Slightly Stoopid has kindly offered up his talents to The Free Bird Project. 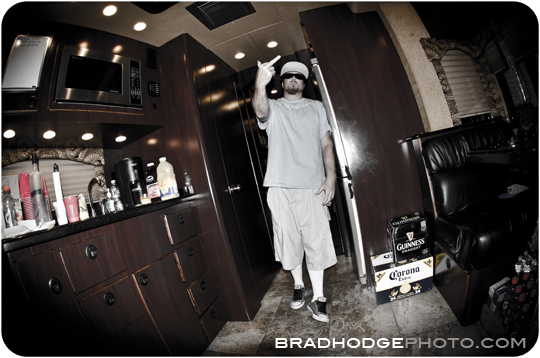 Our pal lensman Brad Hodge took this shot on the band’s bus before their performance at Red Rocks Amphitheatre (see more pics from that night here). The band is crossing the country as the headliners for the Seedless Summer Tour along with fellow Southern California bands Rebelution, Shwayze and Cisco. Check out tour dates here.